It was a nice hotel n very near to the mosque, shopping mall, metro, saloon, restaurants, n convinience shop.. the only thing I wish is, u could provide a set of home slippers as well as the tooth brush..
God hotel with good rooms . But when I asked HK for something they said that they don't have. But when I asked the receptionist they provide it . So why they are playing with guests since its 4 stars hotel. I did not stay here . Mine was a bad experience. At the time of booking I was told that I can cancel booking before mid day on the 7th. But when I logged in to cancel before that time there was a message to say that u cannot cancel now and my card was charged . location was great theres alot of restaurants around the vicinity and some are 24hrs. pool are ok just nice for a quick dip and relax a bit.good staff but lack of optimism at work.im not satisfied of the pool attendant that are not attentive with the their guest needs.front office staff also not attentive to my reservation details, i have to remind them again and again about it and i have to wait for my room to be prepared for 30mins.hope they do better next time. Location: very close to major eateries giving variety of food such as Burger King, Marrybrown Chicken, Hardies, Baskin Robins, various supermarkets. Masjid just behind. Comfortable rooms. Comfortable. Bathroom flush had a problem which had to be rectified by staff twice. They did not allow very early check. I arrived at the hotel at about 5 am. The reception manager said full night's charge at rack rate AED 350 will apply. After 7 am, half night's charge at AED 175 will apply. This was very high considering the $63 (including tax) I paid per night via Agoda. I had to wait till 9:15 am to be allowed to check. Otherwise, the hotel was excellent and so was the location even though it was a good 10 minutes' walk to the nearest Al Rigga metro station. We had a short stay in this hotel, it was good, In reception they were welcoming thanks to Mr. Zakaria and Mr. Ali for your hospitality during our stay. i just dont understand why they dont have enough space for the luggage to be kept, it was ramadan for sure the hotel was not so busy that time. anyway still valuable for money since we got very low rate. They charged me more,when I booked the hotel everything was included, I paid 90 darham for 6 nights. 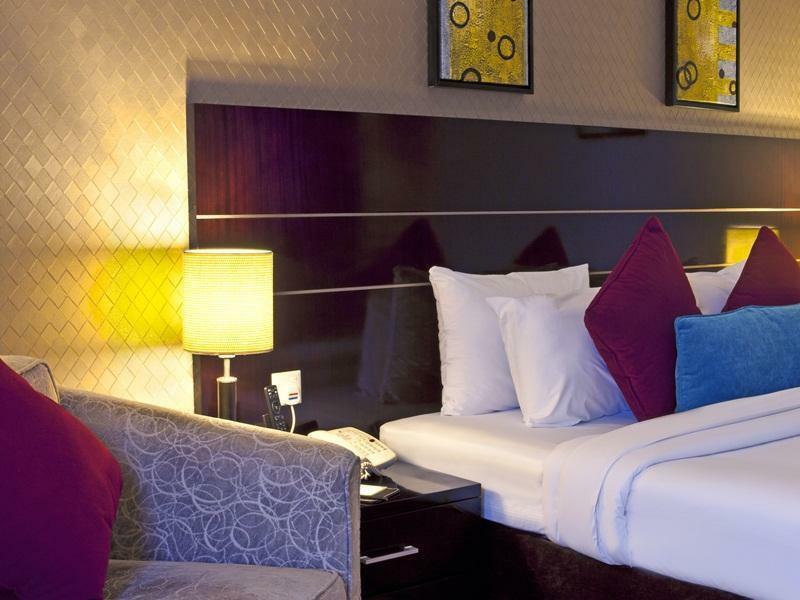 This hotel is a little away from the touristy areas but very close to good shopping malls and the metro station. The staff can't do enough to help and always right on the ball if you need something. They have good sized rooms with a seating area for comfortable relaxing. The beds are comfy although the pillows could be a little softer. Bed linen is white and changed every day. In general, everywhere is kept very clean although, could probably do with a bit of updating. Nothing major though. The buffet breakfast offered some variation daily and was always good.There's a travel in reception with a very helpful trip coordinator. We opted for the Creek cruise, which was good fun. There is another Landmark hotel nearby and this did cause some confusion with the taxi drivers and airport pickup. Make sure to say it's the Landmark Riqqa and not Landmark Grand. I would happily recommend a stay here and if I come back to Dubai, I'll re-book here again. Can reach by Riqqa or Union Metro Station, only about 8 mins walk from hotel. Air conditioner in the room is not strong. Bath room piping system not well done, as a result there is always water on the floor. We stay in twin room with extra 1 bed. The room is big and comfortable. But, the bed and bed sheet for extra guest not comfortable. Breakfast having many choices of food but taste or skills of cook not satisfactory. Very little meat, 90% of food served in buffet breakfast are vegetarian food. During room check in, asked for original passport as mentioned by some guest in the review. We refused and offer photostat copies of passport, but the reception said they need colour copy, then we ask them to scan our original passport. Don't know why, another staff ask for photostat copy of passport again. 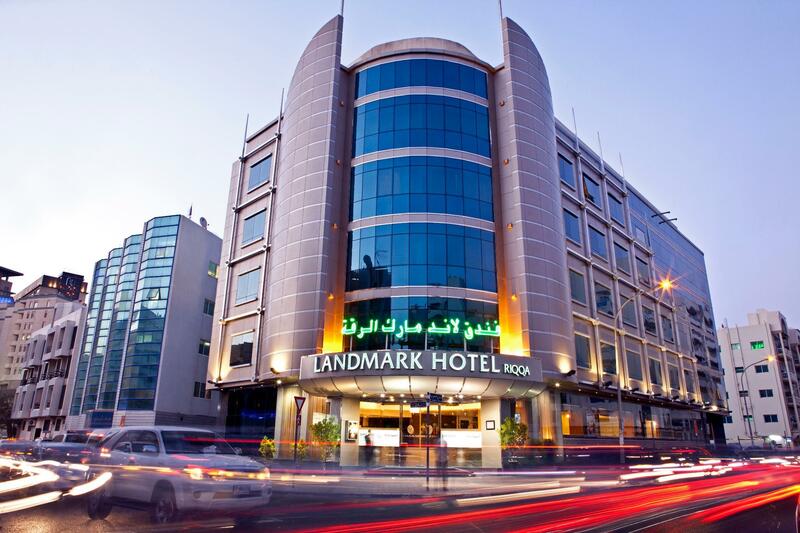 We stayed at Landmark Riqqa Hotel for 3nights. Its conveniently located in the Riqqa area near the metro station and 2mins walking distance from a huge mall. Our room was upgraded without any charges as soon as we checked in. The reception staff are very polite especially Ms. Giselle. 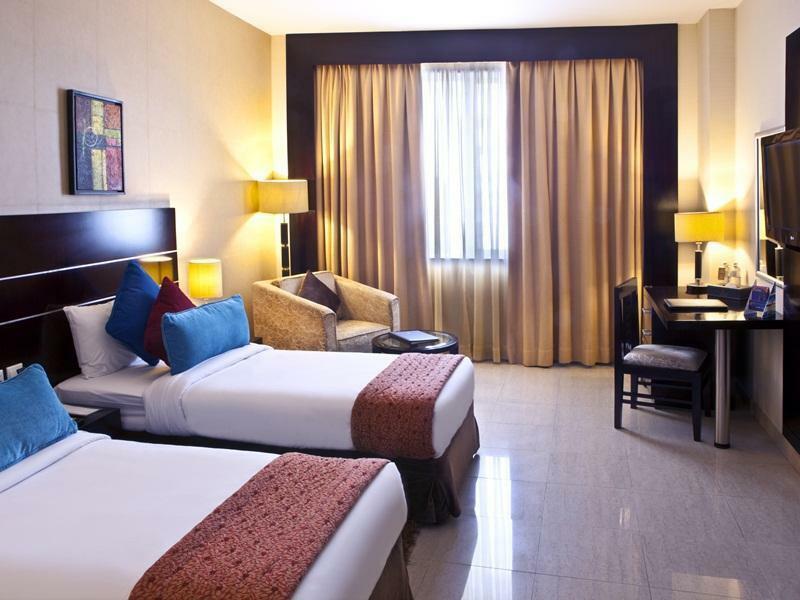 The rooms are well maintained and clean with all the necessary amenities available. The housekeeping and room service staff were also skilled, courteous and accommodating. The food was also delicious and worth the money. Only negative thing was that though being a non-smoking room, everytime we entered the room we could smell smoke. Guess someone in the next room was smoking inside the room and the smoke was spreading to the other rooms due to the central AC units. Being a regular traveller, we would definitely stay here next time whenever we are visiting and will recommend it to all my friends and fellow travellers. Situated in between 2 metro stations. The room was also clean and comfortable. The staff was really helpful. Breakfast menu is good even though it's little boring in subsequent days. Not much view even from the top floor but that's the way in most hotels in this area. Big bathrooms. Big rooms. Good breakfast. My stay was good but the only down fall was such a small gymnasium. My hotel room was bigger than the gym itself. Breakfast was very satisfying and the location is one of the best. Just a few yards away from Al Rigga street nightlife, restaurants , extra fun times for a fee of course but all is available in the area and across the main strip.I will visit again hopefully soon with great company. when i checked in they gave me a good size room but the toilet flush wasn't working properly, they've sent one of the maintenance staff to try to fix the problem but he couldn't, then they moved me to a similar room. Then the next room's AC wasn't working as it should. Next morning I've called agoda to tell them the problem next thing i know the manager called my room and said that he has a executive suite available if i would like to have it. I said ok, the suite was amazing very large room with massive bathroom 2 TV's it was amazing, i enjoyed it..
สถานีรถไฟใต้ดิน Salah Al Din - ระยะ 0.38 กม.